Turn family photos and family history into fun! You may have a big family event planned soon, perhaps a reunion of several generations. You're looking for creative ways to get everyone talking and sharing together. FAMILY PHOTOS + FAMILY HISTORY = FUN PERSONALIZED GAME! You're buried in old photos and albums, mired in files of digital images, and are the keeper of some of the stories. Plus, you know other family gathering have stories to tell, too. Or maybe you want to give a creative family storytelling gift that encourages family to share with you. You know that all those images and stories will be lost or not even told. 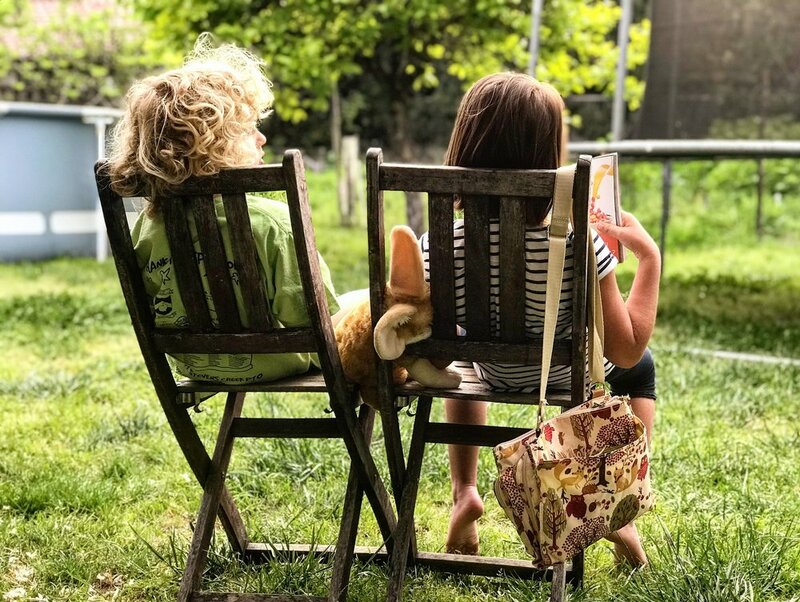 How can you get family storytelling and sharing family history knowledge? Maybe you have a family reunion coming up and you're in charge of thinking of creative ways to engage family at a gathering. You've got loads of photos, lots of stories and you know others do, too. You don't have an easy way to talk and share these stories at a gathering so that conversation brings the generations together. You don't have time or inspiration to get all the details of a gathering together, and come up with ideas to get people storytelling. Everyone plays along and enjoys the family photos and family history they learn. They have a blast. Stories are shared and more stories are learned that nobody knew. Your Family Timeline History Game is a hit that people want copies to play when they go home and for other gatherings. You've got an easy an affordable gift because duplicates are available whenever you want to order them. The game was fun, but you soon realize that those custom cards of family photos and family information also serve as beautiful photo sharing flashcards. They are a valuable keepsake folks can just enjoy and share anytime. Your family gathering is coming along soon. You want it to be a rich and engaging time for everyone. Bring storytelling front and center with everyone, and make it a fun game with a Custom Timeline Trivia Game! LET'S MAKE YOUR CUSTOM FAMILY HISTORY GAME! Storied Gifts offers a complete turnkey service to create your Personalized Family Timeline Game. We capture the images and content in an interview with you and then turn your information into engaging prompts for storytelling. A 90-minute interview with a Storied Gifts interviewer who will capture the information you wish to feature in your game cards. We'll ask questions to guide you to a cohesive and compelling piece. We'll arrange to receive scans of family photos (up to 100) we will use for the game. The photos will help guide the distribution of history prompts and dates for your game. The finished 3.5x5.75 beveled edged cards of cardstock quality will feature your family photos with family history query on one side. The other side will have the dates and answers for the front of the cards. You'll receive a digital version of your game to review for edits and changes. Rules are included with the game cards packaged in a custom tuck box. Investment will vary depending on the scope of your game cards. Card count is 92 for package stored in a custom designed box. With his support and lots of my naivete, I started Storied Gifts and a dozen yearas later there has been lots of listening. 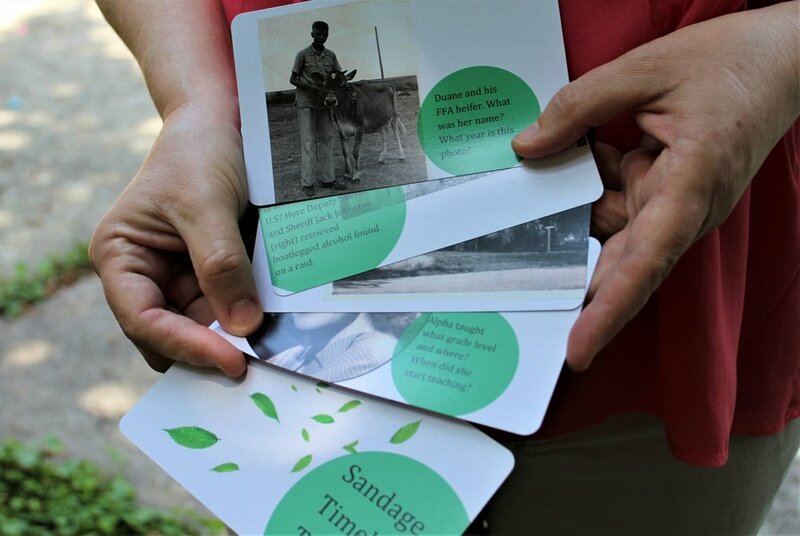 The Personalized Family History game came about as an idea for a client who wanted to use the information we'd gathered for his book in a format for a fun activity. Card prompts and family photos were crafted for our first game. My 94 year old client said it was so much fun I should create the game for others and so here we are. Are you short on time, and looking for a pro team to help you create your Custom Timeline Trivia Game? LET'S GET STARTED CREATING YOUR PERSONALIZED FAMILY HISTORY GAME! Yes, if you photos and stories, and you want to share them. How much time will it take to complete my Custom Family History Game? As soon as we've gathered the photos and trivia the design and layout of your game will come together quickly. We'll work with you to meet a deadline but generally this process can take a couple of weeks to produce the game and then another week to print. Your custom game and all the materials that accompany it are yours. Due to our enthusiasm and pride in your completed game we may ask permission to do a bit of web bragging but only with your consent. The additional bonus of completing your game is that it is so easy to simply order additional copies to share as you wish! Pay half at the beginning of your custom timeline trivia game project, and then the other half at the completion. LET'S GET STARTED CREATING YOUR CUSTOM TIMELINE TRIVIA GAME!